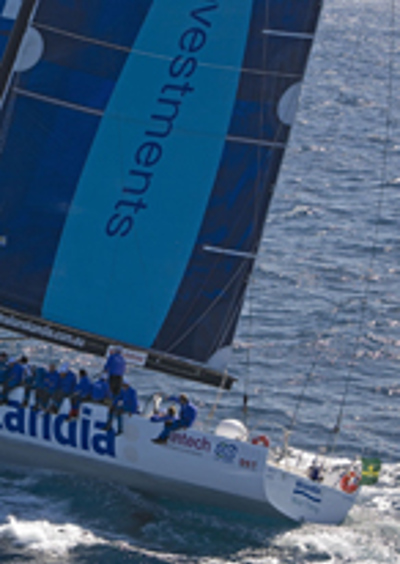 Grant Wharington’s Skandia was the 2003 Rolex Sydney Hobart line honours winner and the following year was leading the fleet to Hobart when she capsized and the crew abandoned ship. Skandia was rebuilt and went on to take line honours in the 2005 Sydney Gold Coast, Sydney Mooloolaba and Sydney Mackay races. 2008 has been a quiet one for Skandia with Wharington and his crew using the time off the water to prepare the boat for its sixth consecutive attempt at the 628 nautical mile ocean classic. The design of this 30m maxi is an ongoing process with its configuration refined no less than five times since its launch in October 2003.